Lovely cuddly animals, heat cushions and super soft Teddy Bears. Steiff has a lot of surprises this year. 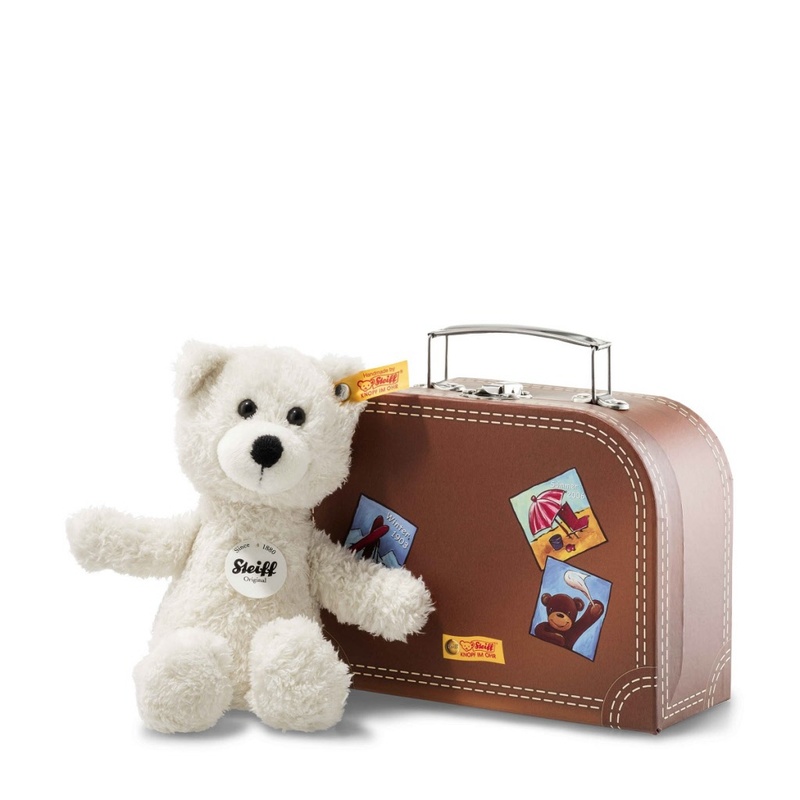 Steiff EAN 113406 Sunny teddy in suitcase, 22cm. She comes with a suitcase. 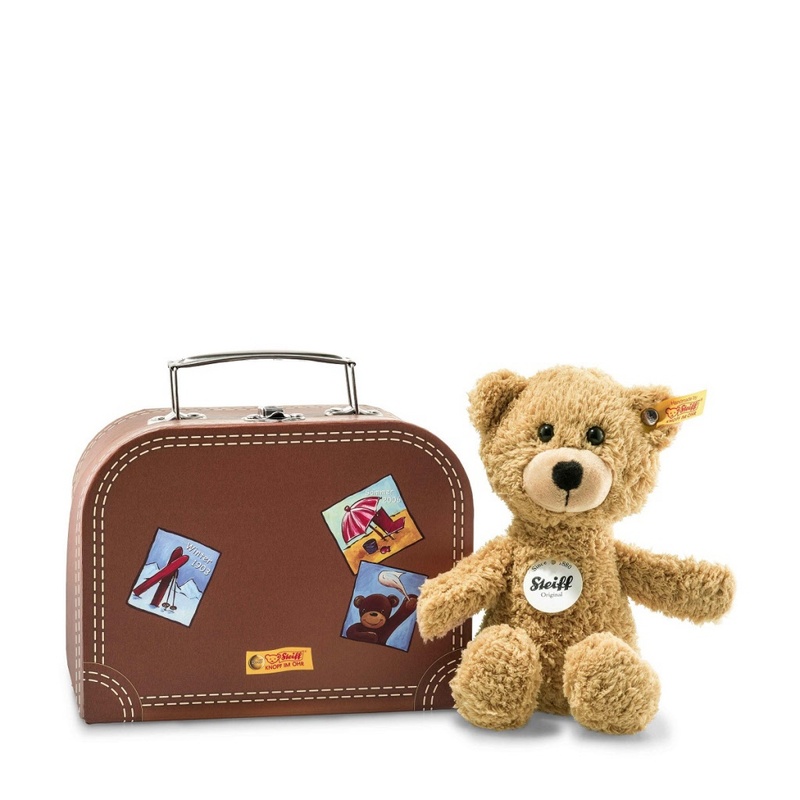 Steiff EAN 113390 Sunny Teddy in suitcase, 22 cm. He comes with a suitcase. 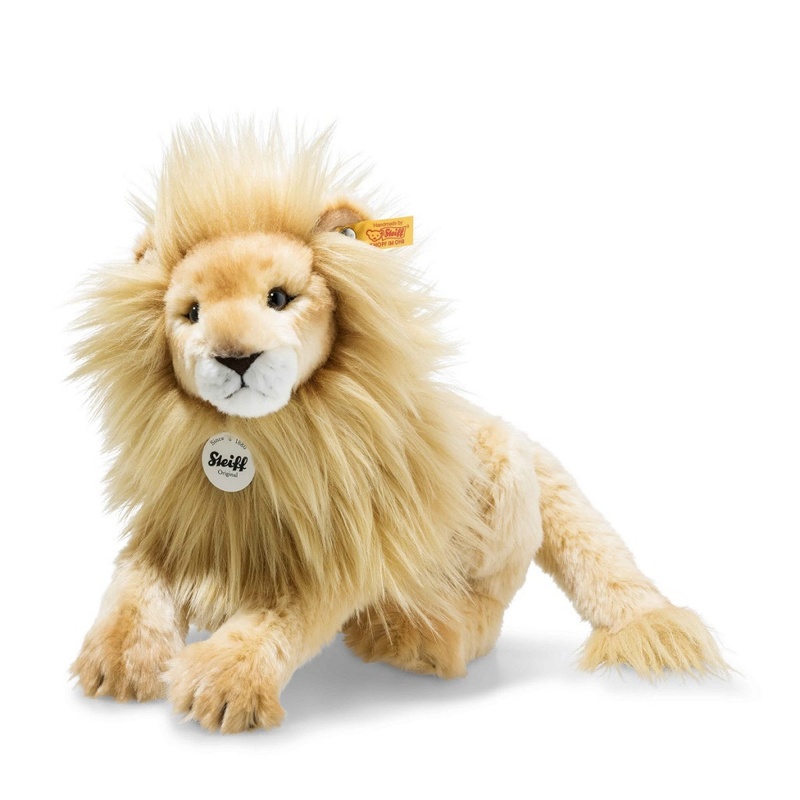 Steiff EAN 064005 Leo Lion, 30cm. Steiff EAN 061585 National Geogrophic Bongo Dangling Gibbon, 46cm. Steiff EAN 113802 Lotte Teddy, 18cm. 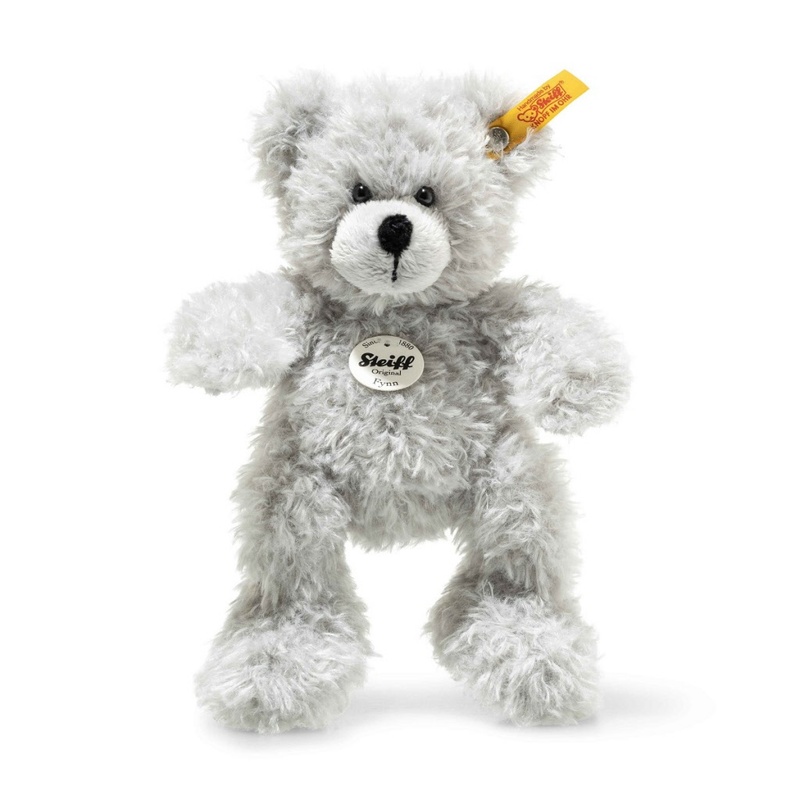 Steiff EAN 112508 Fynn Teddy Pendant, 12cm. 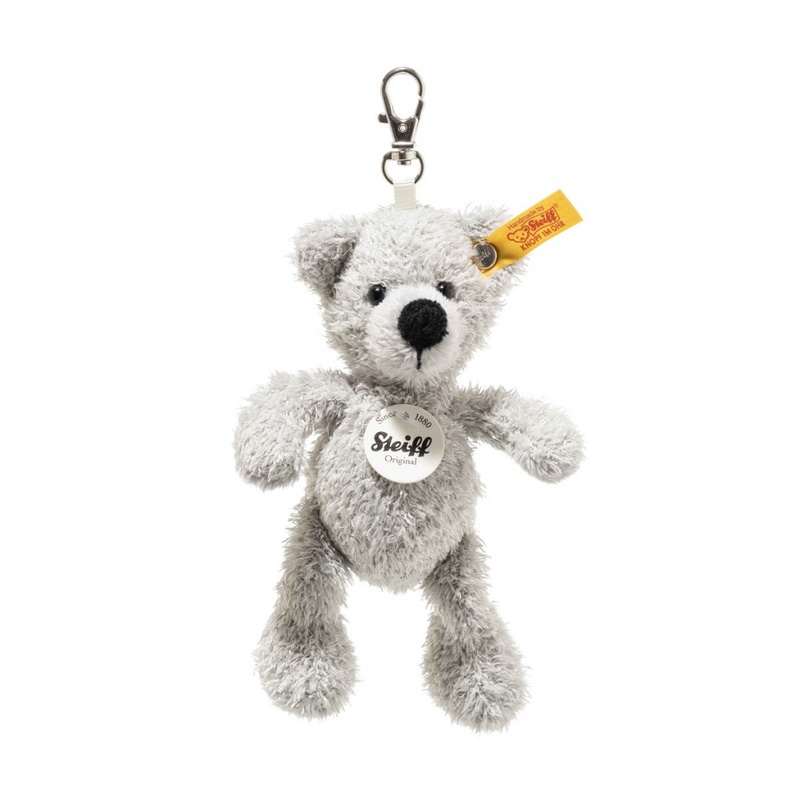 Steiff EAN 112515 Lotte Teddy Pendant, 12 cm. 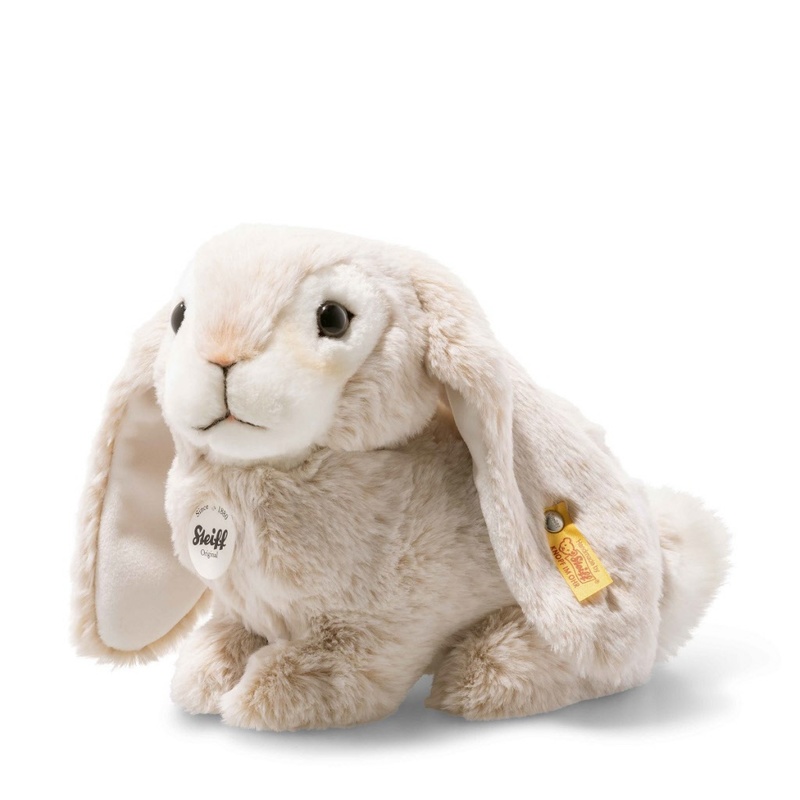 Steiff EAN 080876 Lauscher Rabbit, 24cm. 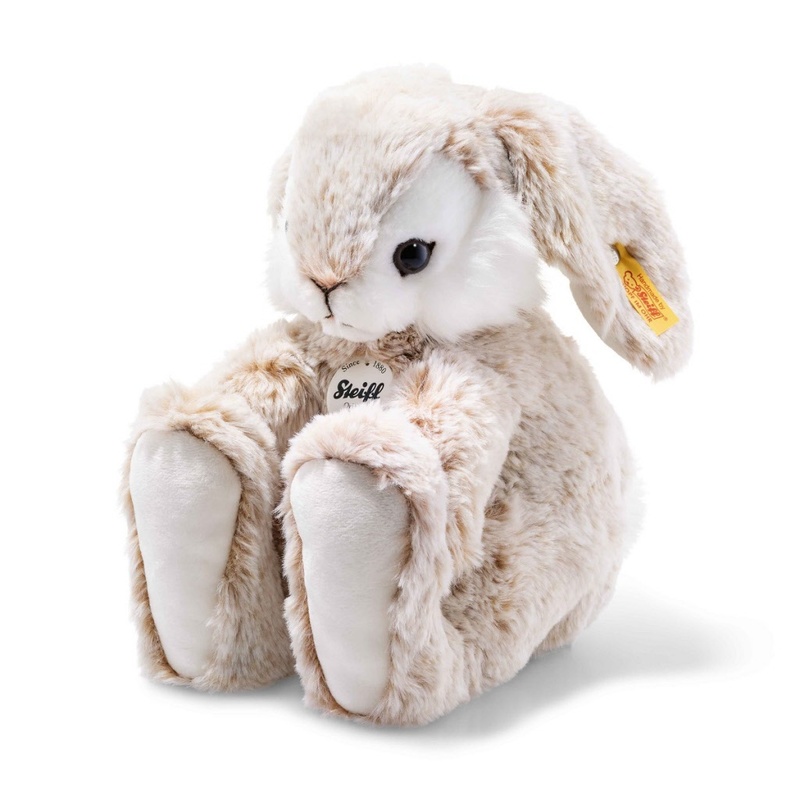 Steiff EAN 080906 Flummi Rabbit, 24cm. 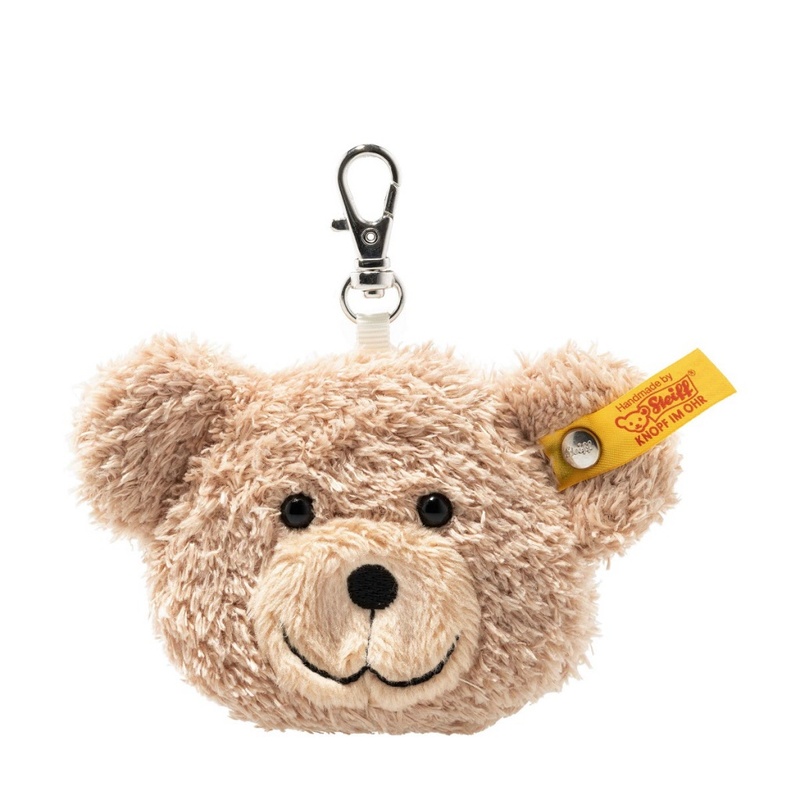 Steiff EAN 112423 Bear head Fynn pendant, 7cm. 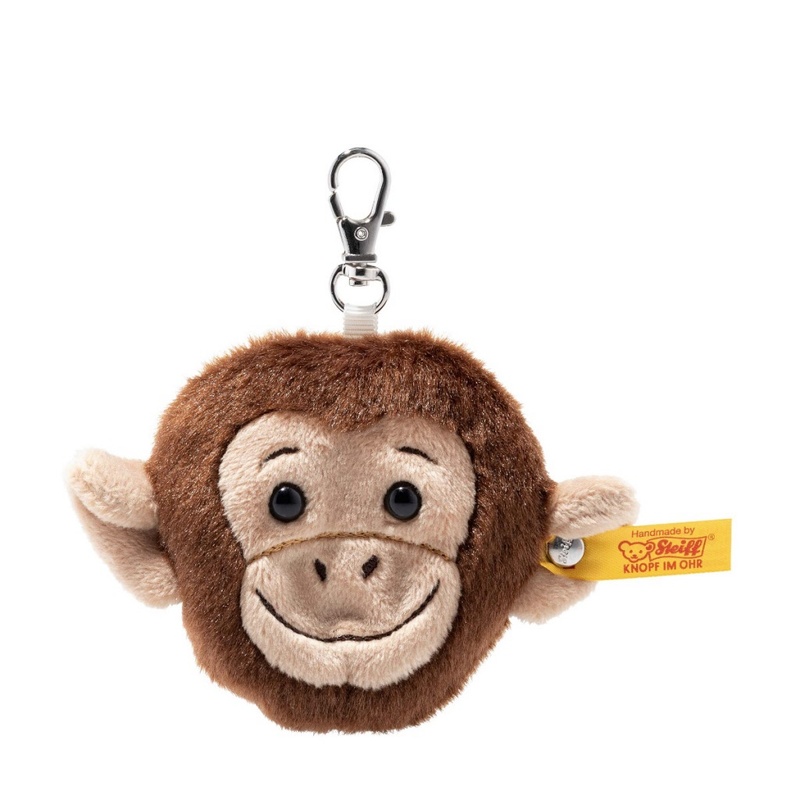 Steiff EAN 112485 Jocko Monkey head pendant, 7cm. Jocko is 7 cm and made of incredibly soft brown and beige plush fabric—not to mention adorable. His face and ears are also made from fluffy beige material. His mouth, nose and eyebrows have been carefully embroidered. Jocko has some light brown stitching above his nostrils. His head has been kept flat in order to save space. 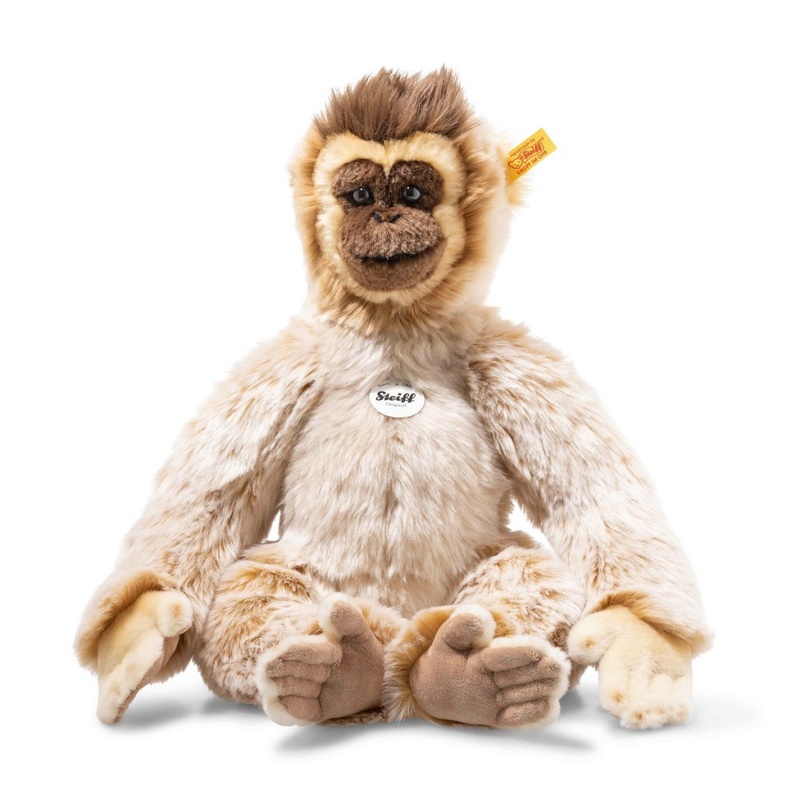 Soft and cuddly—that's the Jocko monkey head we know and love from the Steiff pendant collection.